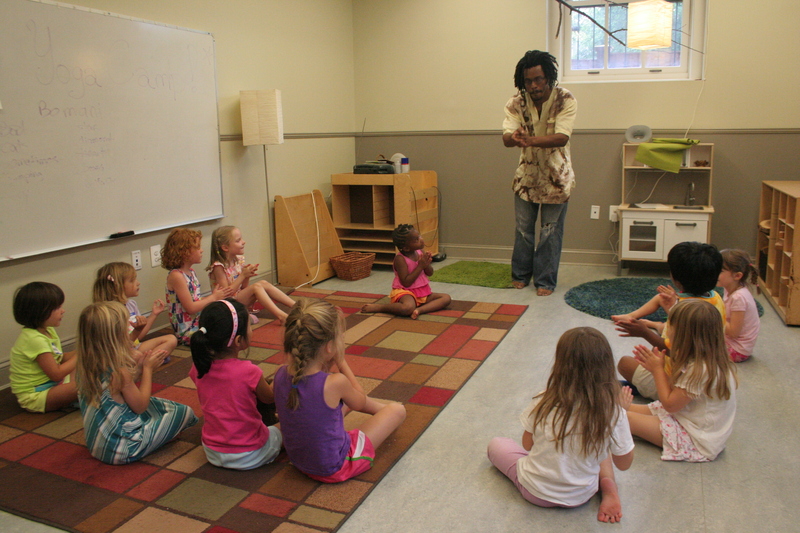 I had a wonderful time doing my “Reading, Rhyming & Rhythm” workshop with the 4-6 year old students at the Capital Hill Day School Yoga Camp. That’s right, yoga for the little ones. I didn’t think that was possible at first, considering how much radioactive energy emanates from a 5 year old. But the truth is, their reality is so malleable at this point. Any challenge you give them, or revelation you point them towards is much more than a possibility. It is actually just a reality waiting to happen. Reading On After Zebra for the students at Capital Hill Day School was the highlight of my week. A Dr. Suess book probably reminds us of that short amount of time, before you’re 2 ½ or 3. The flippity, floppity, flarn words in a Seuss rhyme remind you of how non-nonsensical language was. That non sense is when it was the most fun. It’s when you could just get lost in the rhythm of the words. It was very inspiring, to remember that wonder. At each page I asked the kids what they thought the imaginary letter was that was on the page. The sounds and faces they made were as silly as the drawings in a Dr. Seuss painting. Sometimes I think I should’ve been an elementary school teacher. The wonder of discovering of simple things all over again, that we once thought where marvelous, through the eyes of a child. 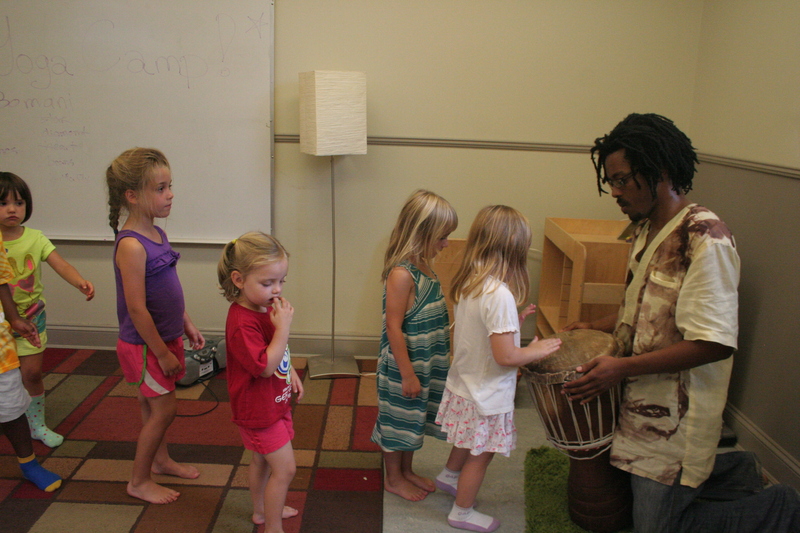 Banging out rhythm on mini and/or make shift instruments. It only takes a few pots and pans to make a marching band. Or shaking their hips, flailing their arms and shuffling their feet. All of this pretty close, but not quite on the rhythm. There are few things more fun than reading books to a room full of 6 year-olds who are levitating, in rapt attention, on every word of the story. The meter in which Dr. Suess writes can easily the typical 4/4 time signature. Combine the fun of making up words that children have, their tongues are to thick and their lips often get in the way, they still find the joy in smashing “b’s” into “l’s” and crashing “p’s into s’”. Ancient people thought that rhyming was a magical power, that people could literally cast spells with rhymes. 4 year-olds seem to believe that whole-heartedly without even knowing it, their mind unfettered by the many impossibilities you learn a bout language. I can cue them easily to just make up words that rhyme with each other, because they laugh at them harder than I do. Dr. Seuss tapped into a power every wants to use. I’m challenging myself to read all 60 plus of Dr. Seuss books before the end of this year. Which Dr. Suess book is your favorite and why? i don’t ever see outgrowing Dr. Seuss. It’s a fun trip for your tongue and your brain! thanks for sharing!